We had an opportunity to knock out a little bit more of the Appalachian Trail this weekend when we were camping in Michaux State Forest, Pennsylvania. My first stint on the AT was during a surprise anniversary trip weekend to the Delaware Water Gap with my hubster, Chad in July. Perks of moving to Maryland definitely include the capacity to encroach on the trail finally, although I do miss the Superior Hiking Trail in MN! There’s something very *insert superb adjective here because my creativity is lacking* about hiking the Appalachian Trail. I always think first about Scott Jurek, who recently set the speed record for supported through hike on the trail. Oh. My. Gosh. My feet are traversing the same ground that he, and many others, have set foot on… just. Wow. I also think about the people, like Cheryl Strayed, who used the Pacific Crest Trail to run from life, but find it at the same time. With thousands of people making footprints right where I have stepped foot, what were their purposes in their treks? Especially the through hikers… What inspired them? What motivated them to start, and what kept them going? I find myself easily lost in these transfixing thoughts of all those that have been here. Right here, where my foot is. Legends, really. Oh no… You’re not almost finished… You’re just crossing – the half way point… Seriously? We started really thinking about the trek that these hikers make and it really hits home when I see this post. To say that I am humbled is an absolute understatement. Yes, when you hit this point in the hike from Georgia to Maine, you are reaching a milestone…However, it is definitely not the milestone I expected! NO, you are half way through from your hike from Georgia to Maine, or Maine to Georgia. HALF. WAY! Wow. It was neat to see everyone’s trail names, dates and small notes as they passed through this milestone. It also made me think…Someday Amy, you’re getting that ice cream! What will my trail name be? How is a trail name bestowed on a thru hiker? I really wish I had done a little more research before we set out this weekend. I found the AT Museum is right next to the park, with the famous general store across the street. Although, I wouldn’t have eaten ice cream, that has to be reserved for the right time; however, I would have gawked at the photos, the museum and the findings along the way. The “Hiker Yearbooks” – past journals for inspiration – the Hall of Fame – and various artifacts from years past. The ease of which we have it to hike longer distances now with ultra light everythings and technology making it something a bit different than it was. Yet, at the same time, I think part of hiking the AT and thru hiking trails like this is to get back to the roots, get away from technology for the most part and really focus on the good-ole-Mother Nature’s offerings. I did notice ZERO cell phone service the entire hike this weekend…quite refreshing! Yes, hiking the AT is a serious goal of mine… It probably won’t be a reality until after Landon (my wonderful, adventurous and sometimes challenging 8-year-old) graduates and Chad and I are on our own. I think before that day, I’ll be able to accomplish a thru hike of the Superior Hiking Trail. I also think that’s probably more appropriate, it’s my home trail, where I started and fell in love with trail running and hiking, where I have spent hours and maybe even hundreds of miles in thought – or sometimes no thought at all! I think the 310 miles from Jay Cooke State Park, an area where I spent my childhood through adulthood and started my hiking/trail running experience during the Grand Traverse just a few short years ago will be simply epic. Not simply… but yes, EPIC! And to end at the Canadian border, with a little celebration of accomplishment of 310 miles by foot in one shot will be in my future. 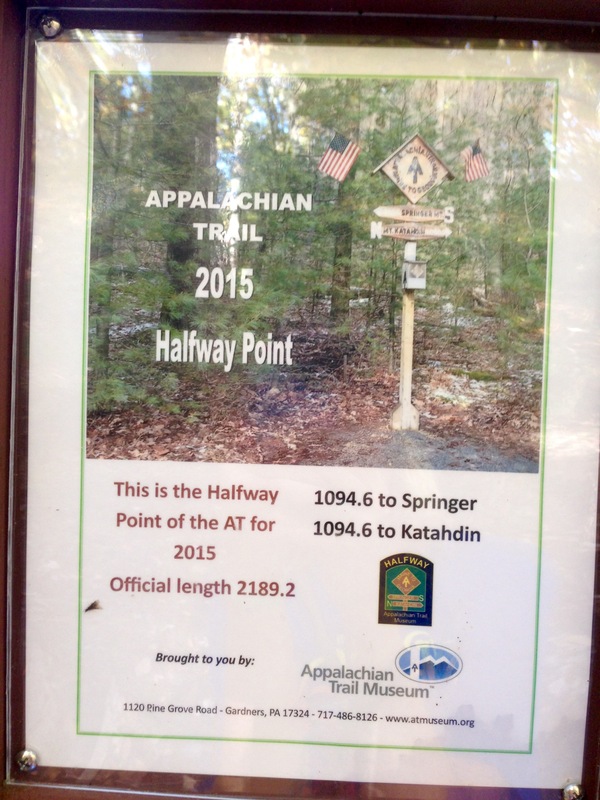 Along with the 2189 miles of the stunning Appalachian Trail! Until then, I’ll settle for enjoying it in spurts and checking off sections on my map as I go. 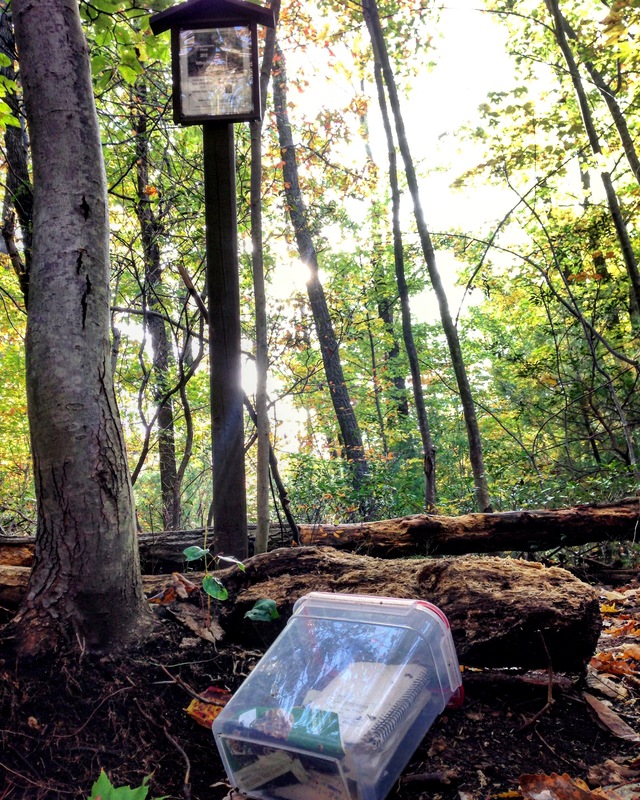 You could always come hike with the Trail Dames of Maryland! We hike on the AT quite a bit (and everywhere else)!